Groundbreaking Ceremony at Barley Woods - A New Cornerstone Community! It’s official! 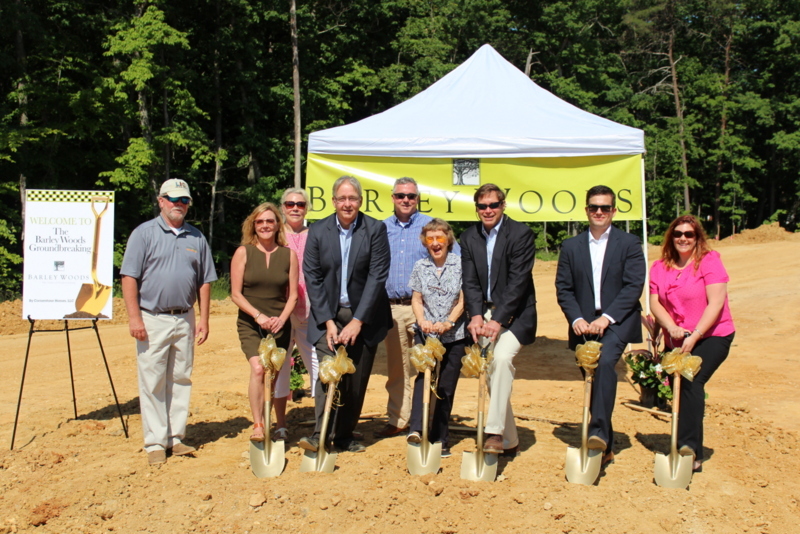 We’ve broken ground at Barley Woods! Just this past week, construction started on the much anticipated, Boutique 55+ community in the heart of Fredricksburg, VA! The community is now lively and loud with construction crews as it brings us that much closer to the quiet, peaceful retreat our homeowners will love waking up to every day! A neighborhood immersed in nature, leading residents to a private, green oasis called Boxwell Glade with creekside trails, a small orchard and dog park for our furry friends! In addition to 124 single-level homes that are each uniquely maintenance-free, Barley Woods will feature a beautiful clubhouse with up-scale amenities such as grilling areas, fitness center, pool and more. Enjoy flexible outdoor/indoor living spaces tailored to your lifestyle as you discover new hobbies and enjoy those you love. Barley Woods will always be a special place to call home, providing a true sense of belonging and connectedness. Through its distinct amenities and close proximity to Downtown Fredericksburg, there’s no better place to live and grow while creating lifelong friendships and new memories :) Come see us today to find out what Barley Woods is all about! For more information, contact Wanda Cook, Sales Counselor at wcook@cornerstonehomes.net or 540.699.3009.